Seattle is just so darn hip. VisitSeattle.org partnered with local musicians from The Long Winters’ John Roderick to answer visitor and tourist questions about Seattle. But here’s where it gets super clever...Roderick answers the questions from a mobile talk show set. LOVE IT. 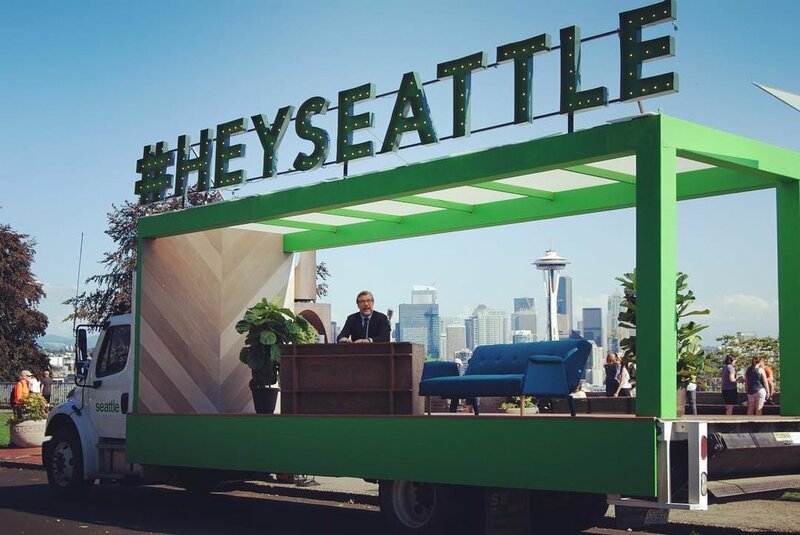 The series is called #HEYSEATTLE.